TRANZFORM is a hybrid rhythmic synthesis library based on several years of synth sampling and sound design production. 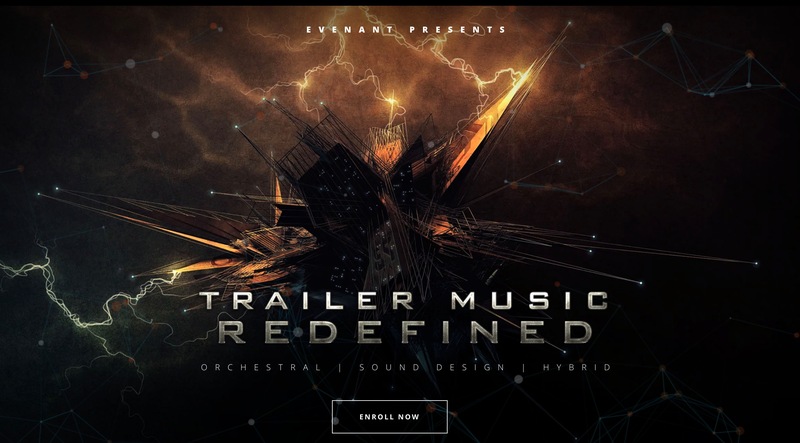 With this library, you are able to create epic and moving tonal rhythm components. Hidden Path Audio did send a review copy with no strings attached. To install TRANZFORM you have to use the PULSE downloader tool. The process using PULSE is quite easy. In PULSE you enter a unique key (found in the purchase Email). You download the files with the PULSE tool, PULSE unpacks them and after a batch resave you are ready to use TRANZFORM in the FULL Kontakt 5.8.1 (will not work in the free Kontakt Player). During installation, you need at least 6GB of Harddisk space. At his core, TRANZFORM extends you toolset with several prime loop and transformations of those. Spiced up with additional vibes shaped through sound design you get a nice collection of a thematic need. The library aims for the composer that works on film scores, trailers, and epic video game soundtracks. There are onboard FX filter included: REVERB, DELAY, DISTORTION, CHORUS, CABINET, FLANGER, and PHASER. You should also reach out to many of the available FX filters in your DAW or that you purchased from a third party to further shape the sound. For example see also your coverage on FX Filter and tools like BYOME (“Build Your Own Modular Effect”), SpecOps – Spectral Effects Processing, or Filterstation 2. The loops and sounds of TRANZFORM do highly benefit from external processing, and you get some additional new vibes and sounds. The included loops are really useful and reminded me of other established players in the market, the difference is that this is unlike other libraries I did hear and used so far. The include basses, waving atmospheres, mechanical arps and drones are of excellent quality and sound exceptional good. You find the Kontakt library in the ‘Files’ menu of the left-hand browser section of the Kontakt user interface. The UI is different from Barrage, it comes across more roughy and edgy. Merely drag the NKI (instrument file) from the files browser on the left into the main window on the right. Please be aware that you MUST have a FULL version of Kontakt to use our products. What would be a benefit if you could load the different patches in the main UI, the development was done that mapped sounds are saved as patches, hence the long list of different patches you can load in the Kontakt File Tab. As the development effort can be increased, I assume that this feature can be integrated into future new Kontakt releases. TRANZFORM is the second widely available commercial library developed by Hidden Path Audio and it is the time that the libraries from this Hidden Path Audio get more spotlight instead of a composer’s secret weapon. TRANZFORM is an excellent roundup of loops, sounds, and effects. Ready to be used while composing for trailer, games, and film. TRANZFORM is the second widely available commercial library developed by Hidden Path Audio, and it is the time that the libraries from this Hidden Path Audio get more spotlight instead of a composer's secret weapon. TRANZFORM is an excellent roundup of loops, sounds, and effects. Ready to be used while composing for trailer, games, and film.